It’s beginning to look a lot like Christmas, my friends. 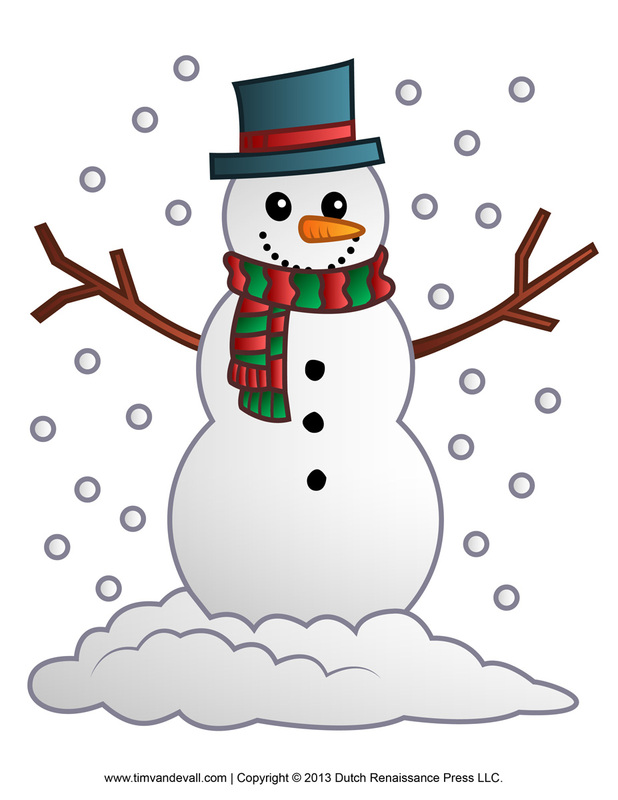 To celebrate the occasion, I’ve illustrated some free snowman clipart, a printable snowman template for kids to decorate, some snowman Christmas Tree decorations, and a snowman coloring page. I hope you find an printable activity here that you and your children will enjoy. Have a wonderful holiday! Here is snowman paper doll/paper toy for kids to make. Cut out each of the pieces and glue them on the snowman. If you want to make the snowman say something, here are some free speech bubbles. 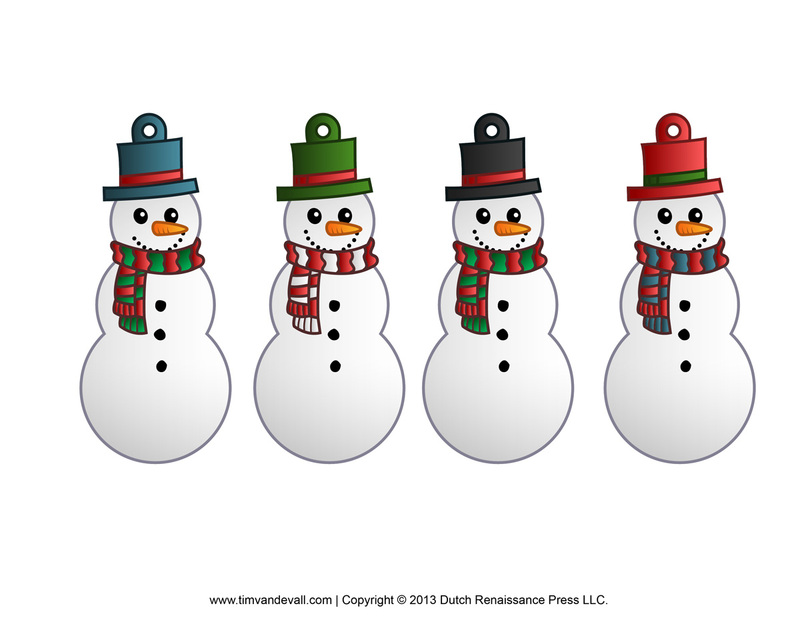 There’s also a printable of a large snowman clipart image, great for homemade decorations and posters. Finally, there’s a set of 4 paper snowmen ornaments, which kids can cut and hang in the Christmas tree.